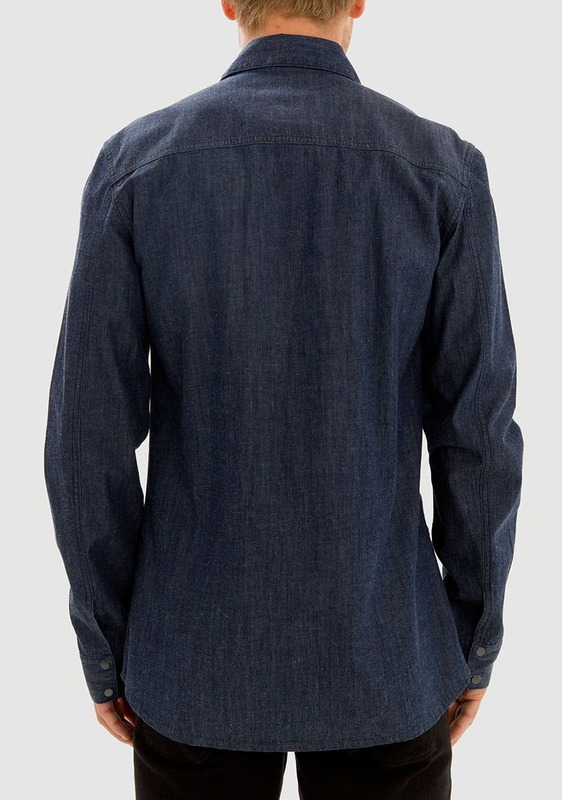 Classic denim shirt, with traditional black oxide snap buttons at front placket and sleeve cuff. Tonal self colour stitching with welt pocket at front. Classic styling with clean finishers.